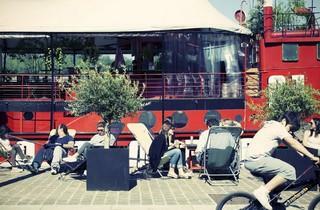 The Batofar bar, restaurant and club, housed in a jolly red-painted boat, sets up a temporary beach on the riverbank every year from May to September. When you’re stuck in Paris all summer you need to know about this haven, which is completely different from attempting to feel like you’re on holiday on the overcrowded Paris Plages. What’s more, the temporary 300m2 beach hut has been beautifully refurbished this year, completely re-done by the architect Sophie Nicolas and stuffed with new entertainments. 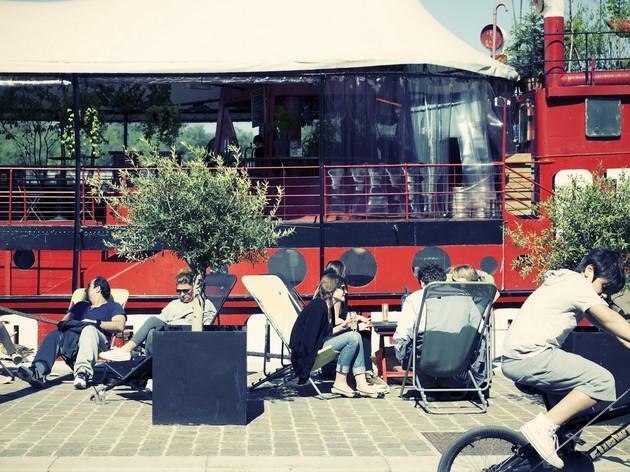 An 11-metre-long bar in glossy black steel gives everyone easy access, and there’s seating for 130 on the bamboo terrace with its deckchairs and designer sofas by Qui est Paul. Plus, plenty of parasols for delicate Parisian palefaces.